Improving three-year-old Wedding Vow (3f Galileo-Remember When, by Danehill Dancer) brought more Group race glory for the great Galileo when winning the G2 Kilboy Estate Stakes at the Curragh on Sunday. 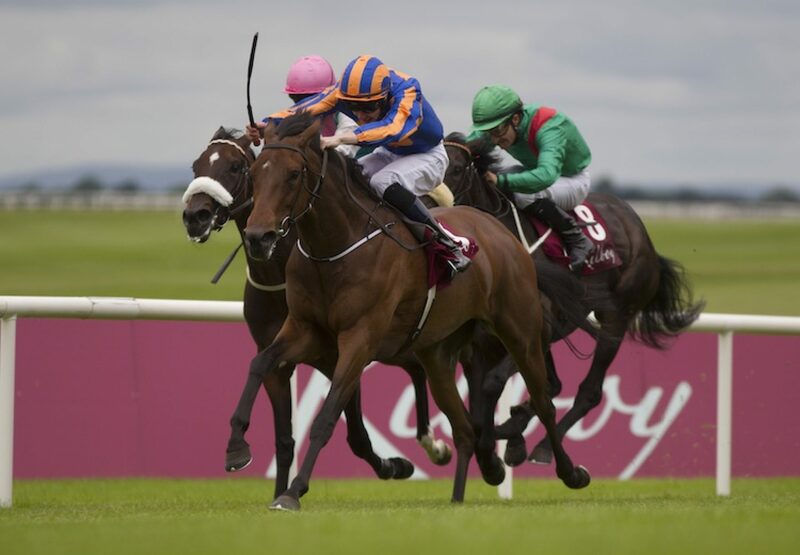 Joseph O’Brien steered the filly to a two-length victory from the four-year-old Brooch. "She had nice form earlier in the year but was too keen in Ascot over a mile-and-a-half with the blinkers on," the winning rider told irishracing.com. "Back in trip today she settled. There wasn't much pace on and in fairness to her she quickened up really good. "We could think about races in America for her or the Matron or something like that. A mile or a mile-and-a-quarter is probably her trip. It’s good to win a Group race with a pedigree like hers." Wedding Vow is the first foal of 2010 Oaks runner-up Remember When, a sibling to Dylan Thomas and 1,000 Guineas heroine Homecoming Queen. She is owned by Michael Tabor, Mrs John Magnier and Derrick Smith.